A High Court judge has today deferred judgement on whether to quash the Police Ombudsman’s findings in relation to his investigation into the Loughinisland massacre. 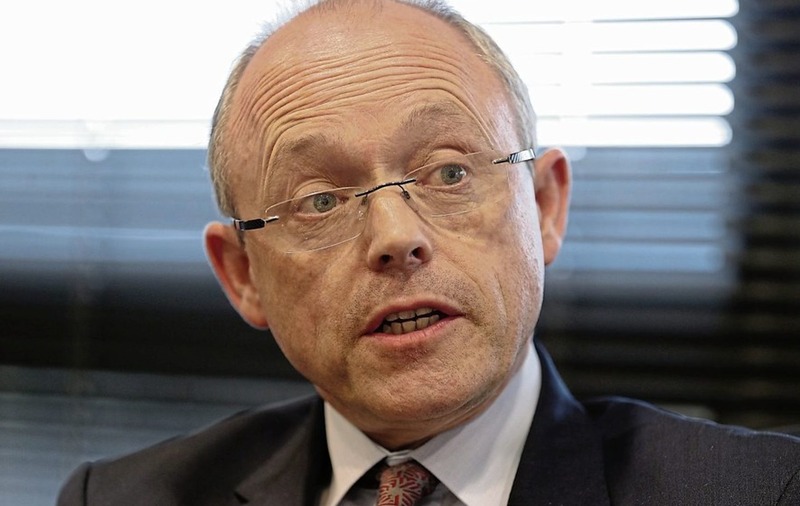 The delay comes after the IRA’s former solicitor of choice, Barra McGrory QC, argued that there was a perception of bias. Upon hearing the fact that Barra McGrory QC had the audacity to argue bias, given his previous endeavours, many unionists gasped. Nationalist legacy activists, who have hi-jacked the innocent victim’s case for political purposes, launched a last ditch attempt to save their ‘collusion’ narrative by using surrogates to spread false and malicious rumours about High Court Judge, Mr Justice McCloskey. The appalling attempt to discredit the High Court judge, for political purposes, takes on an even more absurd twist when it becomes apparent that the lead counsel for the Police Ombudsman is none other than Barra McGrory, a man that displayed more than ‘unconscious bias’ during his time as Director of Public Prosecutions. The real motive behind the attempts to remove Mr Justice McCloskey from the case is to have the case transferred to Mr Justice Treacy, a judge with well known nationalist sympathies and who has at times acted as a legacy activist from the bench. Once again prominent IRA members and Sinn Fein activists attended the court to hi-jack the cause of the innocent families for their own political purposes. 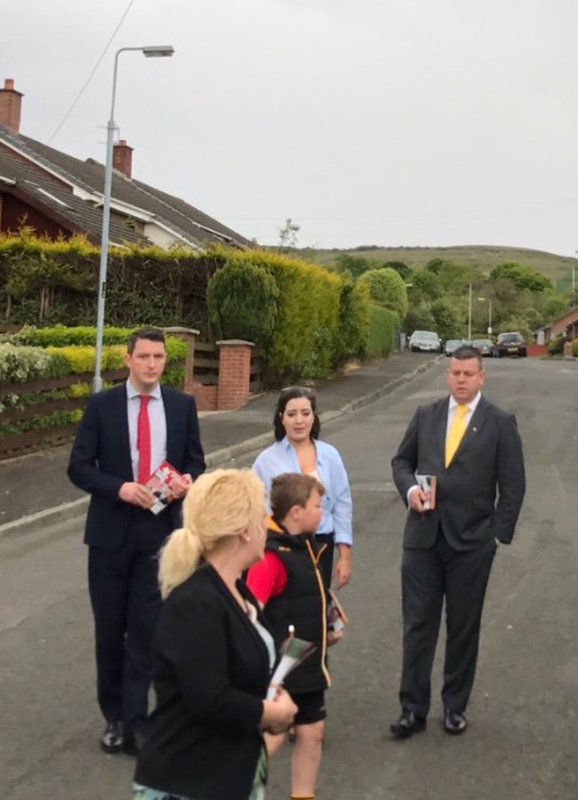 The families solicitor, Mr Niall Murphy, is a Sinn Fein activist who has canvassed for the party and is also commercially linked to the company that made the ‘No Stone Unturned’ documentary. As previously mentioned Barra McGrory QC is representing the Police Ombudsman. Mr McGrory QC is one of the most controversial legal figures of recent times, with many unionists believing that he used his role as DPP to push an overtly republican agenda. Prior to his appointment Mr McGrory QC was the solicitor of choice for Sinn Fein and the IRA. The Police Ombudsman himself is under investigation by the Department of Justice for his role in the commercial ‘No Stone Unturned’ Loughinisland documentary. 119 Responses to "Former IRA solicitor attacks the independence of the Judiciary"
problems and I to find it very troublesome to tell the reality however I will certainly come back again. net, but I know I am getting familiarity daily by reading thes fastidious articles. Can I simply say what a aid to search out someone who truly knows what theyre speaking about on the internet. You definitely know find out how to deliver an issue to gentle and make it important. Extra folks must read this and perceive this side of the story. I cant believe youre not more fashionable since you undoubtedly have the gift. this website’s post to be updated daily. It contains pleasant data. I’m still learning from you, as I’m improving myself. I definitely liked reading everything that is posted on your site.Keep the information coming. I enjoyed it! It’s perfect time to make a few plans for the longer term and it’s time to be happy. I’ve learn this publish and if I may I want to recommend you some attention-grabbing things or tips. Perhaps you can write next articles relating to this article. I wish to read even more issues about it! Thank you a lot for sharing this with all folks you actually understand what you’re speaking approximately! Bookmarked. Please additionally seek advice from my web site =). We will have a link exchange arrangement among us! I would like to thnkx for the efforts you have put in writing this website. I’m hoping the same high-grade site post from you in the upcoming as well. In fact your creative writing skills has encouraged me to get my own blog now. Really the blogging is spreading its wings rapidly. Your write up is a good example of it. Hey very cool website!! Guy .. Beautiful .. Superb .. I will bookmark your web site and take the feeds additionally…I’m happy to seek out so many helpful info here in the put up, we want develop more techniques in this regard, thank you for sharing. . . . . .
Hey there, You’ve done a great job. I?ll certainly digg it and personally suggest to my friends. I am sure they’ll be benefited from this web site. Nice post. I learn something more challenging on completely different blogs everyday. It can at all times be stimulating to read content material from different writers and observe a little something from their store. I’d prefer to use some with the content material on my blog whether you don’t mind. Natually I’ll offer you a hyperlink in your web blog. Thanks for sharing. Wow, amazing weblog structure! How long have you been blogging for? you make blogging look easy. The entire look of your web site is great, as neatly as the content! images and video clips, this site could definitely be one of the greatest in its field. blog and take a look at again here frequently. I am rather sure I’ll learn many new stuff right here! extra techniques in this regard, thanks for sharing. . . . . Thanks for the blog post, how can I make is so that I receive an email sent to me whenever you publish a new update? I’m impressed, I must say. Actually hardly ever do I encounter a blog that’s each educative and entertaining, and let me let you know, you may have hit the nail on the head. Your concept is excellent; the difficulty is one thing that not enough persons are talking intelligently about. I am very pleased that I stumbled throughout this in my seek for something regarding this. A lot of thanks for every one of your effort on this site. Kim takes pleasure in conducting investigations and it’s obvious why. A lot of people learn all about the lively ways you convey simple steps through this web site and welcome participation from people on this idea while our favorite princess has been discovering a whole lot. Enjoy the rest of the year. You have been carrying out a dazzling job. me to pay a quick visit this site, it includes important Information. Very great post. I just stumbled upon your blog and wished to say that I have really enjoyed browsing your blog posts. After all I’ll be subscribing on your rss feed and I hope you write once more very soon! I have a project that I’m simply now working on, and I’ve been on the glance out for such information. you’re in reality a excellent webmaster. The web site loading speed is amazing. It kind of feels that you’re doing any unique trick. Furthermore, The contents are masterwork. you’ve done a magnificent activity on this topic!